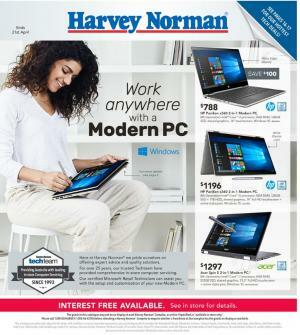 Harvey Norman Catalogue can offer you large product range of home appliances, kitchen appliances, laptops, desktop computers, office supplies, tax time essentials, occasional sales like Christmas, Easter, Anzac day etc. Find here the latest current catalogue with the content full of deals like cashbacks, interest-free buying plans etc. Mostly these catalogues are popular for their large ranges. Unlike others, Harvey Norman offers several catalogues at the same time. They prefer to separate aisles catalogue by catalogue. In our posts you will find the list of top deals from the retailer. Browse current catalogue before shopping for this type of items. A DSLR camera is one of the best gifts for enthisasts of photography. Even if you are an amateur yet, these devices can help you take the best shoots with a few days of practice. In the beginning, you need to learn about the lenses and concepts like diaphragm of a lens, focal lengths, angles etc. For example, wide angle lenses will make you look thinner but a bit uglier to be honest. On other side, lenses such as a prime 85mm will handle a great job. But wide angle has its advantage in taking a landscape photo. For instance, you are a real estate agent and want to take a classy photo of the house inside living room. I would choose a wide angle lens to make it seem really larger than it is for advertisement purpose. That seems like cheating but the intention here is to show every corner of the room since a narrower angle cannot capture the whole picture. A simple tip; 50mm lenses that are compatible with full frame DSLR cameras are the closes to the human eye sight. 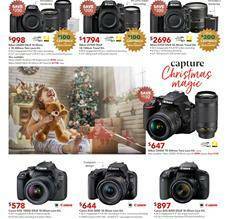 All the DSLR cameras that are available on pg 36 of the Harvey Norman Catalogue Christmas sale are suitable for beginners. You can easily notice that prices are so close to each other. If you want to go pro after some practice, I recommend something similar to Canon 5D Mark III or Sony A7 series. By the way, check out cool looking mirrorless cameras on pg 37. They are lighter than others and they are pretty much the same in technical terms. My choice would be other DSLRs since it feels better than mirrorless cameras. Predator is one of the best gaming computers all around the world. You can find desktops and laptops of Predator on the latest Harvey Norman Christmas Catalogue 7 - 27 Dec. Collect the best pieces of hardware to compete against the ruthless enemy and defend your place. Enjoy the modern storytelling of triple-A games or compete in battle royale games like Battlefield V and PUBG. A shooter is only really competitive when you have a mouse and keyboard. A console is okay but I am always a fan of really precise aiming with a decent gaming mouse. With these machines, you will have the top quality equipment for gaming. GTX 1060 is not the best graphics cards but new games like Battlefield V requires a system that has this graphics cards or above. Predator's Orion 3000 gaming desktop has 6GB GTX 1060 graphics. Another Predator computer which is Helios 500 gaming laptop operates on GTX 1070 8GB. If you want the best of best, you will need RTX 2080 Ti, but this catalogue doesn't have something with that graphics. But these are some good prices for Christmas sales. Fitbit, Garmin, Michael Kors, Samsung and more brands are the featured smartwatches on the latest Harvey Norman Christmas Catalogue and they have a nice place on the catalogue. Check out pg 10-11 for all deals. A cool watch can be the perfect choice if you want to gift somebody this Christmas. Much more than these is available in the catalogues that are published special for Christmas. Find bundle prices, the latest games like Battlefield V and Fallout 76, cool and new design controllers and current prices of Harvey Norman Catalogue Christmas 7 - 27 Dec. Visit pg 8-9 to see console games and related products. You will also have bonus rewards for purchases of wireless headphones. Red Dead Redemption II and more video games that are only playable on consoles. You can really save huge on Microsoft Surface Pro and Windows laptops with 20%, 15% discounts at Harvey Norman Catalogue. If you purchase over $500 on Windows PCs you will get a bonus Jedi bundle. Surface book 2 i5 8GB - 128 GB costs $1788 at HN Stores this week. This sale is something like Cyber Monday and it is already valid until 27 Nov. Visit pg 3 for DSLR Camera, track your daily life with sophisticated technology of Apple Watch, and browse your comics on a nice resolution of iPad 6th Gen. Get them at lowered prices of Harvey Norman today. You can find a smartphone on a budget on pg 4. Also, games like God of War, Spider-Man, NBA2K19, Assassin's Creed Odyssey will cost way lower than regular full game price. Spider-Man and God of War are PlayStation exclusives. Gaming also requires specially featured sound products. Even a little detail in sound can make a fail for you in-game. Improve your sound quality with the latest technology. JBL waterproof speaker, wireless earphones and headphones are available on pg 5. Home appliances are also on sale at Harvey Norman Catalogue. You should see deals on washing machines, fridges, kitchen products, kettle, toaster, oven, vacuum cleaners and more products. Catalogue AU 2019 | Contact | This address is where you can find featured catalogues of stores like Target, Aldi, Big W, Iga, Myer and Harvey Norman.